The following letter from H. P. Blavatsky is dated August 12, 1887. It was her birthday. As most of the texts in the present series, the document is part of the Blavatsky Letters in the Andover-Harvard Divinity School Library. We reproduce it from “Theosophical History” magazine, volume V, Number 5, January 1995, pp. 164-168. We follow the transcriber, Mr. Michael Gomes in including as an appendix to the present document a letter from Bertram (“Bert”) Keightley to W.Q. 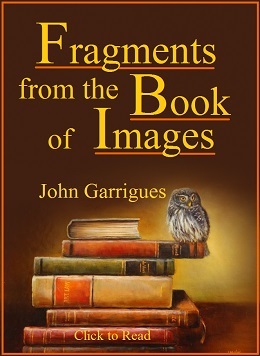 Judge, with commentaries from H.P. Blavatsky. Underlined words are thus in the original. Sometimes, they are underlined with a double line in the transcription made by Mr. Gomes. We don’t take that into consideration. Words in brackets, followed by question marks, are attempts by the transcriber to understand the original. 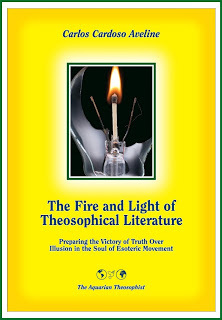 “Theosophical History” publishes a few commentaries to the contents of this letter. Written by the transcriber, they show he does not see the events from a theosophical viewpoint, but interprets them instead as a mere question of H.P.B. being personally “impatient” regarding the personalities of other people. The attachment of some to the personal view of life is a natural process, which corresponds to a certain level of development of human souls. It should not be, therefore, an irritating factor for students of theosophy. The task of rescuing and publishing historical documents is valuable enough in itself and Mr. Gomes must receive thanks for his efforts. It would not be realistic to expect that in addition to making an honest work as an archivist and transcriber he should be able to understand the H.P.B. letters beyond the level of outer facts and “personal” appearances. The present letter contains the famous “bird’s eye view” of the theosophical movement and its future, obtained by H.P. Blavatsky with the help of Masters. Mr. Judge did what he could during H.P.B.’s life, and his efforts went on for a few years after her death until his own life ended, in 1896. Although the core of the movement was preserved, the Frankenstein problem remains to be solved in the 21st century. That should not be seen as too difficult, if one considers that life usually develops in gradual ways. We add a few explanatory notes to the Letter and to its Appendix. To explain my telegram of today  know, that for several days I kept thinking over your letter & that of Coues - feeling the great responsibility you wanted me to assume. The night before last, however, I was shown a bird’s eye view of the present state of Theosophy & its societies. I saw a few earnest, reliable Theosophists in a death struggle with the world in general, with other - nominal but ambitious - theosophists. The former are greater in numbers than you may think, & they prevailed as you in America will prevail, if you only remain staunch to the Masters programme and true to yourselves. And last night I saw  & now I feel strong - such as I am in my body, and ready to fight for theosophy & the few true ones to my last breath. Are you ready to help me to carry on the sacrifice - that of accepting & carrying on the burden of life, which is heavy? My choice is made & I will not go back on it. I remain in England in the midst of the howling wolves. Here I am needed & nearer to America; there, in Adyar - there are dark plots going on against me & poor Olcott (which you will understand better by reading Bert’s letter & the enclosed one from Olcott) and I could only defend myself - not do any good to the Cause or Society. The defending forces have to be judiciously - so scanty they are - distributed over the globe wherever Theosophy is struggling against the powers of darkness. Let O.  remain at Adyar - I will remain here. If you & Coues carry out the plan we will have four great & strong centres. America, Paris, India, England. The words said by - “Let both unite & carry out their idea of secret council. But to work effectively two conditions are necessary: (1) work in good faith & full accord, pledged to support each other & remain united in weal or woe success or failure. The latter will never be allowed to reach its acme, if they are true to each other. (2) In order to silence the (“kickers”) & opponents both President & General Secretary must be selected for life.” This can be done by your direct followers & has to be done if you would ensure success & have to help you in the U.S.A. as “Illarion” helps here. The President being permanent no kicks will do any good. There is not a man in all the U.S. who is better fitted to fight for theosophy & his Society than E. Coues; there is no man there more devoted to Them & cause, nor more fitted than you are. These are ’s words. Both, you have faults & shortcomings - but your fitness & the peculiar qualifications of both for theosophical work are by far greater. Your polarities so utterly different, can but help to attract people to both ends. They are your strength & power when united in one - the ruin & cause of failure when separated. Unite, unite, I say; & you will have culminated the object for which, after breaking metaphorically each others noses you were led to reconciliation. Take my place in America now & after I am gone - at Adyar. If you have no more personal ambition than I have - & I know you have not, only combativeness - then this will be no more sacrifice for you than it was for me to have Olcott as my President, damn him from morn to night, & still recognize that there is no better man for the work than he is. “This is no sacrifice for him,” said I -“if I only know my W.Q.J.”- “No; none in reality, but the illusion that it is one, may yet be strong in the ‘old’ man’s body” - remarked. Is it so? I hope not. Dixit - I have no more to say till I receive your answer. I am “yours truly” in the work, for ever. Dispose of me - I will be your thing & help you with all my powers. When - if you do -agree, write to me the instructions & my part of the work & - wait & see. The “plot at Adyar.” It began a little after the last anniversary. I received an Address signed by 107 names headed by Subba Row, Cooper Oakley, Nield Cook begging me to return to Adyar for the next anniversary. Then S.R. came out with his attack on myself & the 7 principles. (See Bert’s letter.) Today poor Miss Cook who is dying of a cancer writes to Bert in despair to ask what has fallen upon her brother at Adyar. C.O. & S.R. They intrigue to prevent my returning to Adyar, bringing forward the scare of “Russian spy,” of padris etc. They write letters (not S.R.) incessantly that Master is against me & directs S.R. (!) how to palliate the evil I have done!! That the L.L. is positively lost, having fallen under my evil influence & being psychologized by me. Olcott as you see writes that the Council has passed a unanimous resolution to ask me to postpone my return. I knew all this; I knew the meaning of Nield Cook’s sentence: Subba Row is the only one to save the Society (founded by me!!) & he is preparing a great Reform. Poor fools! 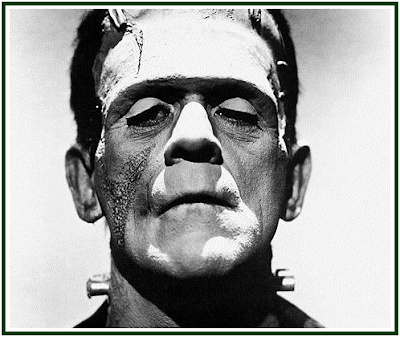 Well I have raised a “Frankenstein” & he seeks to devour me. You alone can save the fiend & make of him a man. Breath into him a Soul if not the Spirit. Be his Saviours in the U.S. & may the blessing of my Superiors & yours descend on you. The transcriber says H.P.B. had telegraphed from London to both Judge and Coues on August 12. The telegram received by Judge, which is at the archives of the Theosophical Society (Pasadena), reads: “Master suggests your being what I am Secretary for life if ready to sacrifice he will help. Upasika.” Coues would then be the president of the T.S. in America. The present letter was written on the same day as the telegrams. - Three dots forming such a triangle mean a high initiate. In this context it most likely refers to HPB’s own Master. A Master of the Wisdom. The transcriber adds that this is a reference to Arthur Lillie and his book “Buddhism in Christendom, or Jesus the Essene” (Kegan Paul, Trench & Co., London, 1887). Things at Adyar are looking so threatening that I feel as if I ought to write to you about them; so that you may be prepared for anything that may happen. I shall show this letter to H.P.B. & shall not send it unless she approves of it; tho’ of course I can only write what I have heard myself & the conclusions I have been led to form. 1. Ever since H.P.B. came to Europe both Arch  & I have been receiving vaguely mysterious warnings about - I had almost said - against her. She was said to be going to destroy the T.S. by founding a rival society; she was going to “psychologise” us all; to get us under her influence &c &c. Various hints were given that she was “abandoned” by the Masters, that she was no longer their agent; that she (HPB) was really dead & that some one - not quite white - was occupying her body (this last being only very vaguely implied). 2. It was said that “no consistent philosophy or doctrine had been given out”; that S.R. might be (perhaps) induced to supply this want; that the T.S. must be put on a new & sounder basis. All this has been “dribbled” over gradually since H.P.B. came back to Europe. To the hints about her I never paid one moments attention - I had my own opinion & stuck to it. The other part as to the philosophy &c sounded plausible - we all know how incomplete our knowledge is - & certainly the organization of the Society is capable of improvement. However I did not pay much heed to this either as it was not my work & I did not think it would lead to anything. Then Mrs. O.  came back to England & began trying to set us against H.P.B. 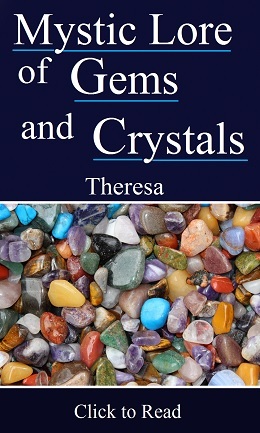 I thought it was personal disappointment &c - combated her assertions & thought no more of it. Now came S.R.’s attack on the seven Principle teaching in his first Bhagavad lecture. This brought all the above back to my mind & I grew suspicious. The attack continued & developed against H.P.B., Esoteric Buddhism & even the teaching in the Master’s letters; in S.R.’s Microcosm article. H.P.B. has told me that S.R. has never written her a line since she left India, tho’ she has written to him several times; & I know that her reply to his strictures re the 7 Principles was sent direct to him accompanied by a most kind letter authorising him to suppress or alter the reply as he chose. Now at the time of the Coulomb row when Lane Fox was in India, there was a regular attempt made to oust both H.P.B. & the Colonel from the Society altogether. Lane Fox got entangled innocently in this scheme as he was desirous of reform & was made use of by people he had not gauged rightly. He has seen thro’ the game since however. A week or two ago a letter was received from Adyar in which it was stated that a Mahatma had seen S.R.’s “Microcosm” article & had written a letter to him approving it. To sum up it is quite clear that Cooper-Oakley, Nield Cook & S.R. are in the same boat. Now C.O. is under his wife’s thumb & sees with eyes & hears with her ears & does as she suggests. And she - well I know from personal experience, that she is the most dangerous & intriguing of women & that she is anything but friendly to H.P.B. & the Colonel personally or to the true interests of the T.S. Thus the conclusion would seem to be that there is a regular plot or conspiracy going on at Adyar against H.P.B., the Colonel & even the Masters or at least their teaching & the line which they have laid down for the Society. Who is really at the bottom thereof I cannot tell. I do not think either C.O. or N.C. are anything but blind tools who have drawn S.R. into acting with them by flattering his vanity, poisoning his mind against H.P.B. & perhaps by working on his fear that H.P.B. may give out too much real knowledge to us Westerns. For S.R. is a Brahmin & has all a Brahmin’s secretiveness & desire to retain esoteric knowledge as an exclusive possession of his caste. On the whole therefore I am half disposed to think that some one much more cunning & powerful is pulling the strings which make all these puppets dance. Anyhow - be that as it may - I feel very sure of one thing, namely, that they mean to keep H.P.B. out of India & if possible to ruin & destroy her influence in the T.S. & the weight & value of any teachings revealed thro’ her. Nor is this all, for I more than suspect that we shall see S.R. & the other two splitting off & forming a new society of their own in opposition to the T.S. if they fail to obtain control of the latter. Moreover I am very much mistaken if the Colonel too does not suspect that something of this kind is going on. He more than hinted as much in letters received a few days ago in reply to several written to him by Finch  & others here. H.P.B. has also shown me two letters from Olcott in which he seems partly awake to the danger. He strongly urges her to return at once to Adyar; but then goes on to impress on her that she must be very diplomatic & conciliatory & “perhaps she may win S.R. back again.” The Colonel must be blind to the real nature of the attack when he recommends such a temporising policy, & above all when he wants H.P.B. to fling herself alone & unaided into the camp at Adyar - for he does not propose to remain there himself but speaks of going off to Japan & leaving her alone at H.Q. In this he is most certainly unwise & I trust H.P.B. won’t think of going to Adyar unless she has some protection & some one to help her there. Otherwise her last strength will be wasted in endless quarrels & difficulties & the last days of her life will be bitter indeed. Judging from his letters the Colonel has not grasp enough of the situation to deal with it, or even to be a real support for H.P.B. He is too much afraid of S.R. & the Englishmen at Adyar on one hand &, worse than all, - he seems to have got some crooked notions about H.P.B. into his head on the other. He lays to her credit all the rows & squabbles which have arisen in the T.S. & generally seems not to have full confidence in her wisdom. Therefore, the more I think, the more I am opposed to her going back to Adyar unless some real friends can go with her; & even then I am doubtful whether any permanent change for the better could be effected. P.S. I have shown this to H.P.B. & she wants me to give it to her to send on to you with what she is writing - so I do. She approves the contents. (*) I asked  him to let you show the contents to Prof. Coues, as I had an interest he should see it. He consented. He knows nothing of our new relations, nor shall anyone know of them except us three. We must save the original T.S. at any cost. Bert did not tell you half of what goes on at Adyar for he does not know it, but all he says is perfectly true & you have to act upon it accordingly. C.O. writes to everyone he can think of trying to undermine the earlier teaching & upset our Masters philosophy & all. It is a regular conspiracy of which poor O.  knows next to nothing. But so long as this lasts I refuse to return to Adyar , [nor shall?] Master allows this to go on. Bad times my poor Judge more strife & fight than ever. May They bless you two & help you for the work. We have all the Dugpas against us. Arch - a reference to Archibald Keightley, Bertram Keightley’s nephew and also an active theosophist. A reference to Mrs. Cooper-Oakley. She would subsequently overcome the mistakes mentioned by Bertram Keigthley in the present letter, and join H.P.B.’s Esoteric School and its Inner Group in London. This note is in H.P.B.’s handwriting. For a broader view of the process by which Adyar leaders turned away from H.P.B., as from the Masters and their teachings, see the article “Why I Do Not Return to India”, by H.P. Blavatsky. It can be found in our associated websites.